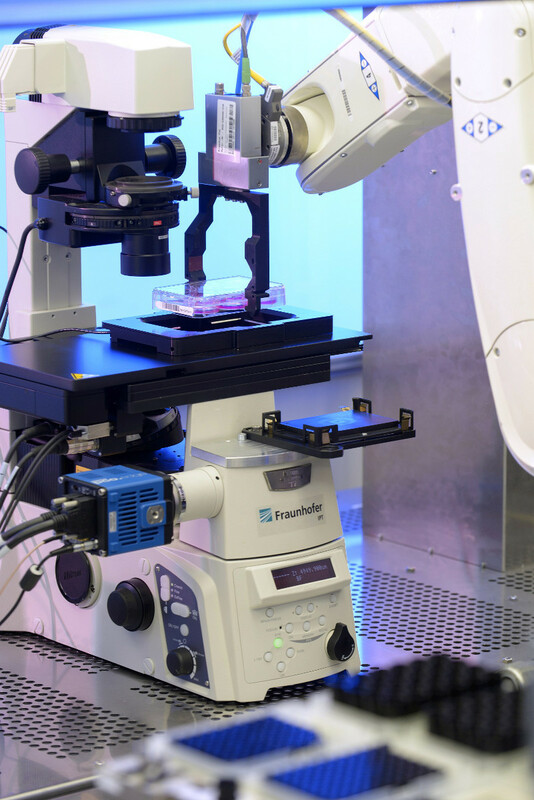 For the first time ever, scientists from the Fraunhofer Institute for Production Technology IPT in Aachen have succeeded in achieving 100 percent microscopic testing in the industrial environment. The piezo-based PIFOC® drive system from PI was decisive for this success. The new high-throughput process from IPT now allows microscoping of large-surface objects within seconds. Conventional high-magnification image recording of boards and microwell plates for example, is often very time consuming and therefore 100 percent testing is not possible, which makes random testing the only alternative. The new process will be particularly beneficial to companies in the fields of biotechnology and electronics will benefit the most from the new process. The idea of the scientists: During image recording, the stage moves the object continuously at a constant velocity in contrast to the conventional "stop-and-go" method. In addition, they combined the time-optimized scanning process with real-time data handling and image-processing steps. Even CPU-intensive tasks such as the stitching processes run almost without any delay. Individual images can be merged seamlessly into the overall image even while measuring is in progress. Of course, the scientists and physicists admit that this is mainly due to the processing power of the system and the sophisticated software, but the hardware used also contributes to this. It needs to adjust the focus accordingly during continuous scanning. The surface topology considerably exceeds the depth of focus of a microscopic objective, irrespective of whether this is due to unevenness of injection-molded plastic microwell plates used in biotechnology or the various different heights of the components on the board, or tilting of the entire wafer during the manufacturing of electronics. It is only possible to focus sharply on the surface when the focus is adjusted in a range of approximately 300 µm. A real-time autofocus function is therefore necessary for three-dimensional image recording; the focus must be adjusted dynamically in the direction of the optical axis with high precision. This task is done by a PIFOC® piezo-based objective scanner. 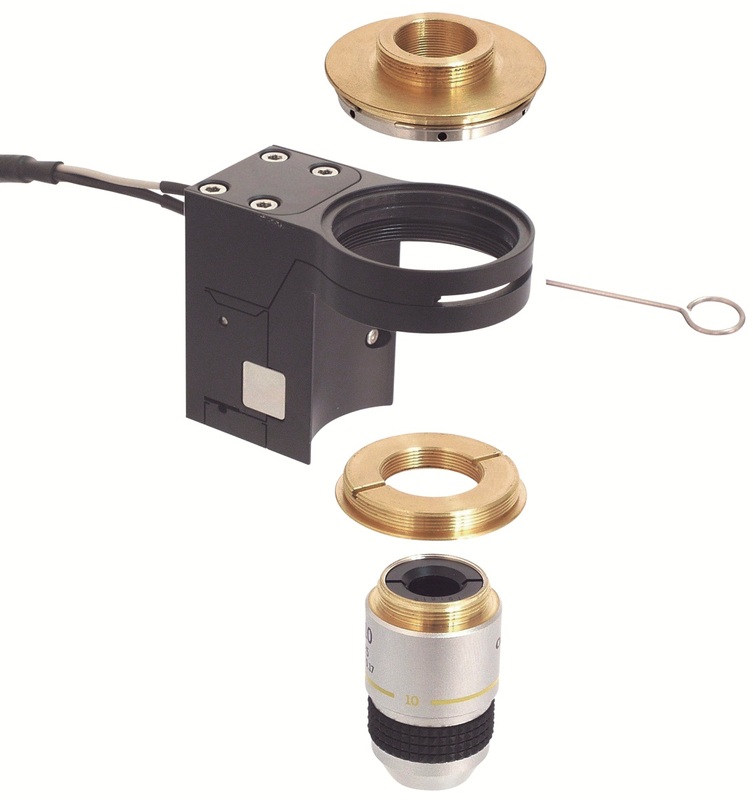 With a travel range of up to 500 µm, it is well suited to autofocus applications and, when taking accuracy and particularly dynamics into account, is far superior to stepper motors. The PIFOC® Z drives from PI (Physik Instrumente) are designed to be very small and stiff. The advantage: The response times are short and, thanks to the stable guiding, precision positioning is possible even over comparatively large travel ranges. The zero-play and high-precision flexure guide ensure high focus stability. Piezo systems stand for accuracy, but in these applications, they demonstrate yet another strong point. The repeatability and settling time of less than 10 milliseconds are important. 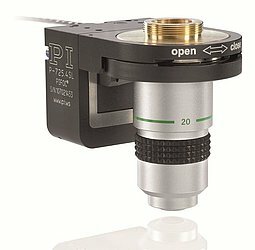 The piezo-based drive therefore prevents the object from going out of focus at high scanning speeds. In conjunction with direct metrology, capacitive sensors and digital controllers, the PIFOC® achieves the highest linearity at a maximum deviation of 0.06 %. The capacitive sensors measure the mechanical part in motion directly and without physical contact. Neither friction nor hysteresis interferes with the measurement. The position of the objective can be matched accurately to the individual image. For the first time ever, there is a new system that enables 100 percent microscopic testing and is also able to keep pace with industrial manufacturing speeds. Important for users: The PIFOC® positioning system can be easily integrated using the QuickLock adapter. After the adapter is screwed into the revolving nosepiece, the drive is then fixed for the desired orientation. Cabling is not an issue because it's not the objective positioner that is rotated. A version with a 29 mm diameter threaded insert is available for applications that require a particularly large optical aperture.